African Development Bank (AfDB) yesterday signed a deal to provide two sovereign-guaranteed multi-tranche lines of credit (LoCs) of $500 million and $200 million to the Bank of Industry (BoI) and the Nigerian Export-Import Bank (NEXIM) respectively. The credit lines are targeted at export-oriented small and medium enterprises (SMEs) modernise and expand export activities in order to create jobs in the economy. 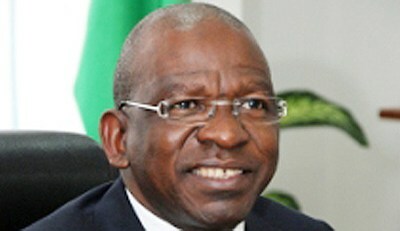 AfDB’s Resident Representative in Nigeria, Ousmane Dore, said: “This AfDB combined program will contribute to mobilise significant financial resources for Nigerian export-oriented SMEs, ultimately contributing to economic development, employment opportunities, foreign exchange and regional trade integration”. The LoCs will enhance the competitiveness local SMEs and scale up their operations and ultimately create more jobs in the country. The current AfDB intervention would include a technical assistance package to strengthen institutional capacity at both BoI and NEXIM as well as at their SME clients. Managing Director/Chief Executive, NEXIM, Mr. Robert Orya, said in a statement signed by the bank's Head, Corporate Communications, Mr. Chinedu Moghalu, that the LoCs would facilitate its goal of adding about 55,000 jobs to the economy as well as attracting about $1.6 billion in foreign exchange. He said: “Thanks to AfDB’s support through this program, NEXIM seeks important economic development achievements, including approximately 55,000 new jobs for its SME clients, $ 1.6 billion in foreign exchange and an overall contribution of almost seven per cent to non-oil exports, including a 10 per cent share in Economic Community of West African States (ECOWAS) exports. According to him: "This facility will provide a great opportunity for NEXIM to make available concessional long-term funding in pursuance of its strategic objectives of enhancing value-added exports and bolstering the capacity of SMEs for job creation and foreign exchange earnings." In pursuant of our goal to create 1000 Export in 5years (Project 1000 Exporters), 3T Impex is looking for companies/individuals who will partner with us to organize an Export Workshop in Lagos, Abuja, Kano, Port Harcourt and any other parts of Nigeria. 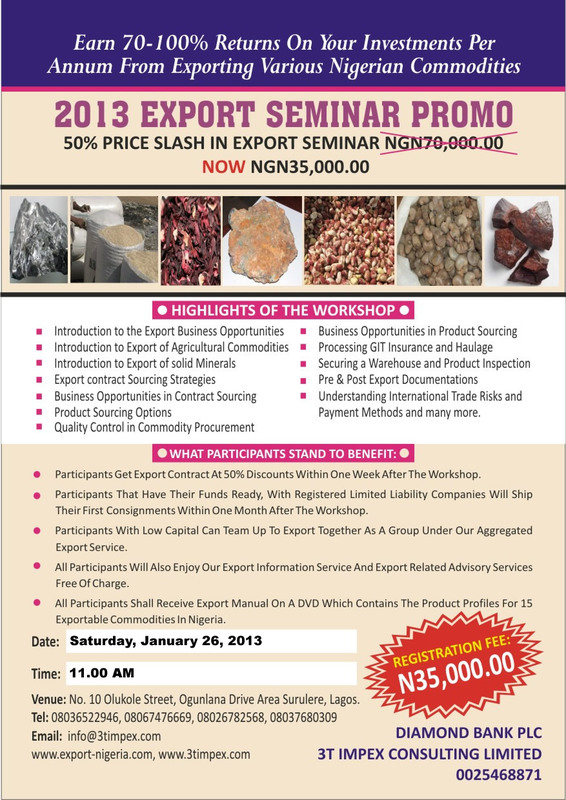 The partner is to determine the cost of the workshop in different locations based on the cost to be incurred in organizing the seminar and the standard of living of the middle class in the state.The proceeds will be shared 50:50 after all costs have been deducted. For more information please call 08036522946 and info@3timpex.com. This is the most important quality parameter but there is no manual means of assessing it. It will be assessed in a special lab (Bureau VERITAS) in Lagos. Oil content (whether high or low) depends largely on the quality of the seeds sown by the farmer and application of inorganic fertilizer. 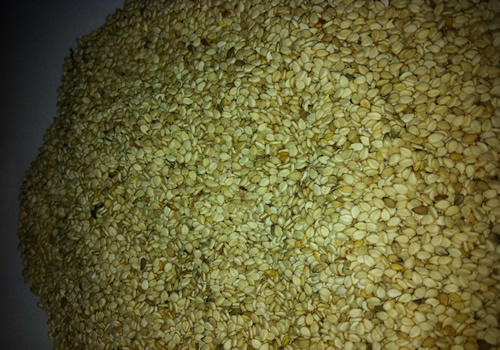 The ranking of seeds based on parameters (1) – (3) only helps to preserve the oil content. Do the seeds appear good? No fungal or green/any foreign colour on the seeds. 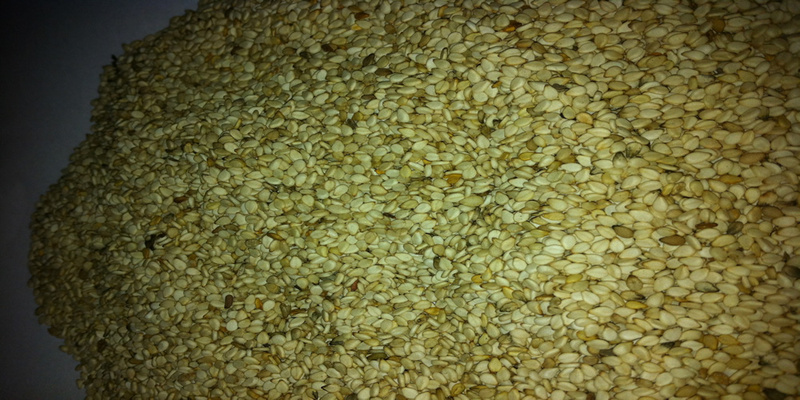 Is the odour/smell/aroma that which typical or specific to sesame seeds? No foreign odour at all. Are there other materials mixed with the seeds in the bag? Dirt, stones or any other particles are not mixed with the seeds. Are the seeds and the bag free of insects? There are no insects in the seeds or the bag. N.B. 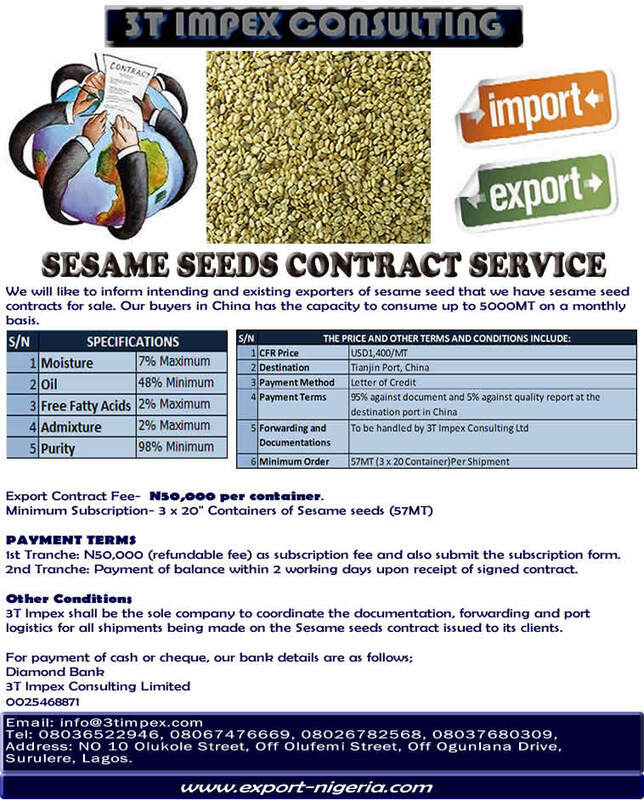 : Contrary answer to any of the above should put the buyer on enquiry as to whether the seeds will meet the quality specifications or even go bad during transit/shipment. Where the seeds are assessed to fall below the minimum required quality standards above, the commodity cannot be exported and, if exported, they can be rejected by the importer and therefore result in loss of money. God forbid that we have that experience! This is why it is important that we do a careful sampling of the seeds from the markets where we intend to buy and have the samples tested before we commence buying. It is only hoped that the samples will really be representative and reflective of the ultimate seeds purchased. 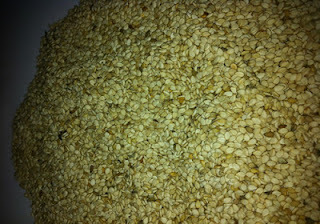 A chemical content in the seeds that affects the value of the seeds and the oil extracted from them in a negative way. 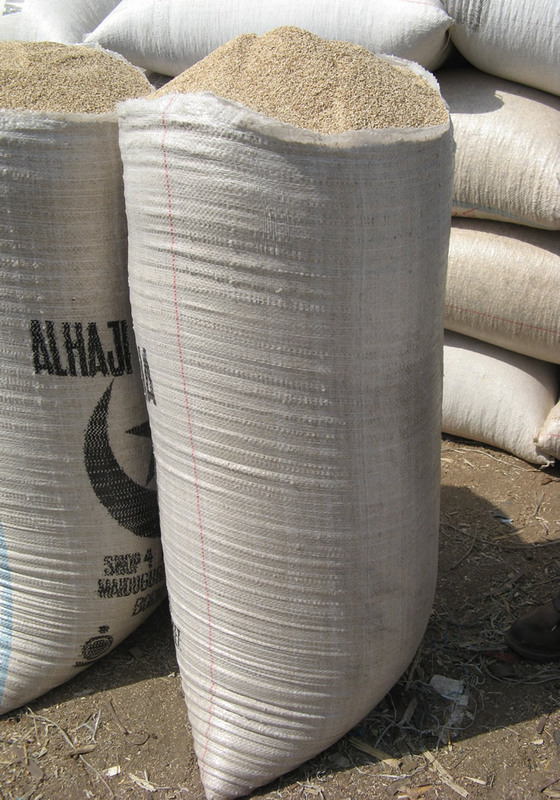 Fungal growth (green or any other foreign coloured substances) on the seeds is an indication that they contain excessive fatty acid or going bad. The enzymes that play a role in the process of producing fatty acid are already present in these products naturally, but are produced in greater quantities when infection by insects and fungi and mechanical injury occurs. Fungal growth on oil-containing products takes place at moisture content above 7 - 8%. The seeds have an aroma/smell that is typical and specific to it. The presence of any foreign odour is an indication of high free fatty acid.